The Easter Holidays are soon upon us, and like every parent you’ll probably be looking for something, anything, to keep the little ones occupied and entertained – for the sake of your own sanity and in hopes of burning off that sugar rush. Luckily for you the coast has a number of events, both recurring and special Easter themed entertainment over the break to cater for both kiddies and parents. So here are the top three events (in our opinion) to keep everyone happy these holidays. The biggest draw card this Easter on the coast has to be ‘Easter at Australia Zoo’. This event is very much directed at the kids, featuring everything from ‘Bindi and the Jungle Girls’ to live croc feedings and even becoming a zoo keeper for a day. It’s a little wild life warrior’s dream, a chance to become a zoo keeper for the day. ‘Our future zoo keepers will spend a day under the guidance of our animal experts learning STACKS of fascinating things about our awesome wildlife, but best of all they’ll enjoy plenty of behind-the-scenes action and hands-on animal encounters!’ A chance to wrangle a live (baby) croc, cuddle a koala and chill out with a few roos. What more could you want? The encounters are all highly educational, using the fun and excitement to create enthusiasm for Australia’s wildlife, instilling a passion for conservation in our future generations. There are four different programs available, tailored for specific age groups ranging from age seven to fifteen. Visit the Australia Zoo website for bookings and more information. As usual there will be daily Croc feedings at the zoo, but these holidays see Terri, little Robert (Bob) and Bindi live in action at the ‘Crocoseum’ every day, between the 3rd and 7th of April at 12pm during the wildlife warriors show. This follows a live performance from ‘Bindi and the Jungle Girls’ at 11.30am, the famous kid’s troop featuring, of course, Bindi Irwin. There’s also a lot more, including Egg hunts, face to face meets with Bindi and the Irwins and other draw prizes. 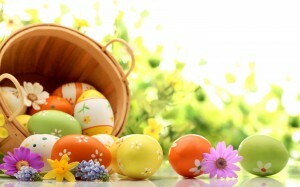 To find out more holiday activities, visit the ‘Easter Holiday Fun’ events page. Aussie World, Australia’s own theme park. It’s been one of our biggest attractions over the years here on the Sunshine Coast for families and thrill seekers alike, but this Easter there’s a little ‘egg-stra’ family fun thrown in. ‘Join in the festivities on April 3-6 with our Easter Bonnet competition. There’s also a gigantic Easter Egg Hunt throughout the park and get creative with Easter Egg painting! For the bigger kids, the ultimate Obstacle Egg Race will prove a true challenge and everyone will enjoy a huge range of FUN entertainment throughout the entire weekend. PLUS to top it all off, we have loads of prizes and giveaways on offer and of course the EASTER BUNNY will be making a special appearance! Open 9am till 5pm daily and all the Easter fun is included in the normal admission price’. There’s something for all the kids these Easter holidays at Aussie world, from crazy rides to the more relaxed vibe of the Easter activities. Visit the ‘Aussie Easter Fun!’ event page for more information on what’s on during the Easter holidays. Finally on our list of Easter fun is something a little more relaxed, and a little more Sunshine Coast. The Eumundi Markets is a stable of the Sunshine Coast weekend, and this Easter is no different. From treasure hunts, to craft events and magic shows, there’s something to keep all the kids entertained, with more than enough shops and stalls to entertain Mum and Dad while they unwind and wonder the street. 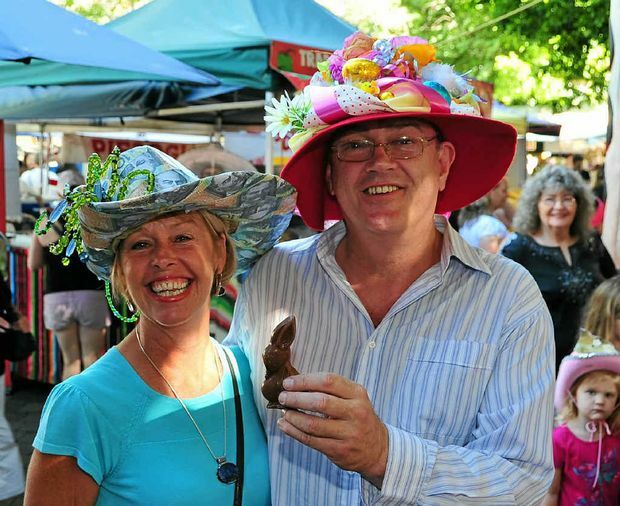 Visit Eumundi Markets for more information on Easter events over the long weekend, and the markets themselves. Jew Shoal – Take a Dive!